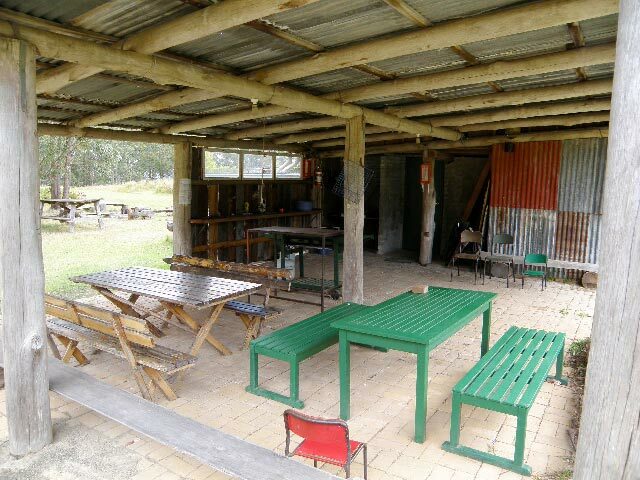 Self-catered Bunkhouse accommodation for up to 10 people and bush camping areas for up to 50 people in a private forest clearing. Ideal for groups. 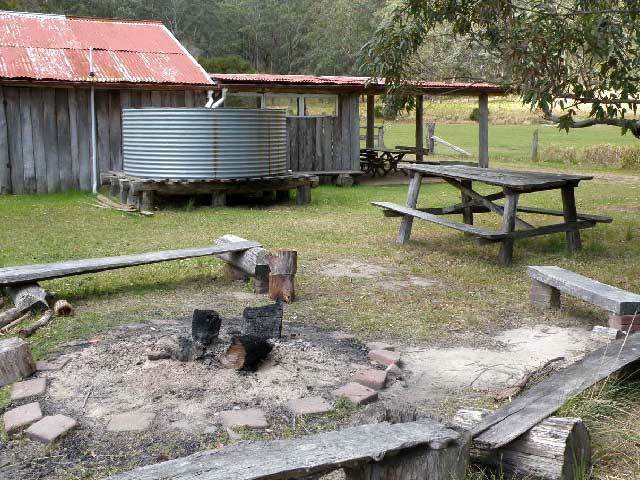 Mount Royal Bunkhouse & Camping is located on the south-western edge of the Barrington Tops, only 3 hours from Sydney, 2 hours from Newcastle and approximately 1 hour from the Hunter Valley vineyards. 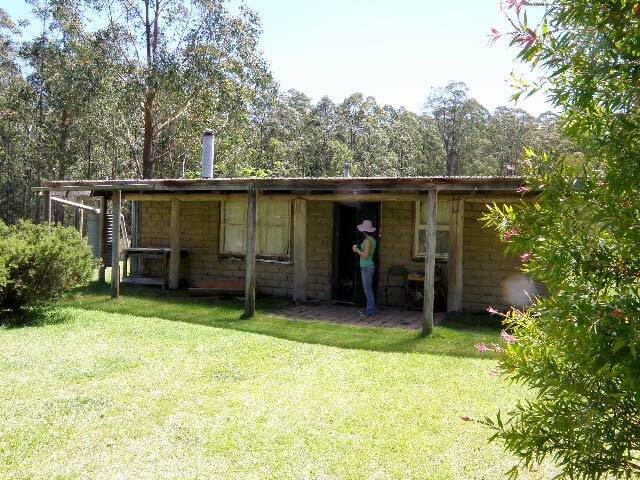 Mount Royal Bunkhouse provides a peaceful, rustic, getaway for friends, families, and group activities in the forested mountains close to world heritage listed national parks. Sole use of the area by one group at a time provides a unique opportunity for time and space to renew and connect with the important things in life. Enjoy beautiful clouds, sunsets, and starlit night skies around the campfire. The facilities are accessible but far away from day to day life. 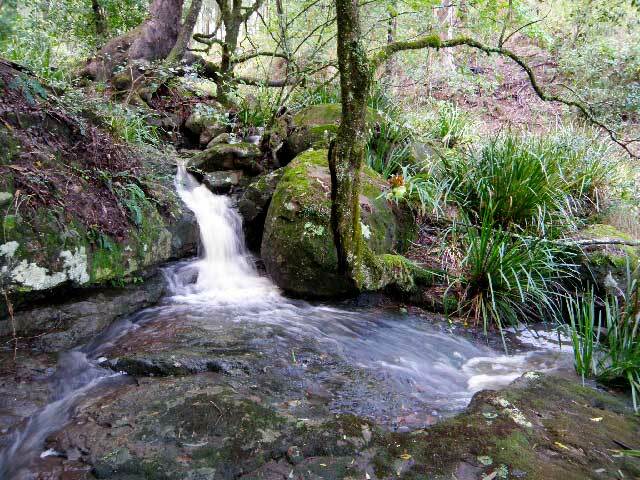 We are committed to environmental sustainability, use of renewable energy and protection of native wildlife. It is 800 metres through the forest from Callicoma Hill eco-cabin. Both facilities can be booked either separately or together. We have been sharing our beautiful location with guests since 2000, and now look forward to sharing it with you. 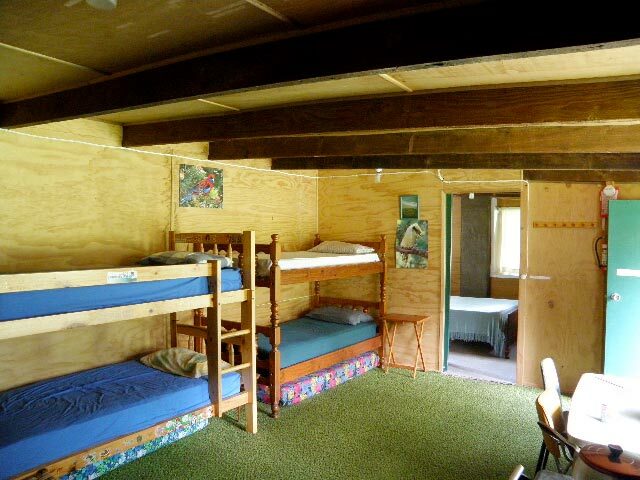 Stay in a 10 bed bunkhouse or in unlimited bush camping sites in a forest clearing. The bunkhouse offers simple rustic accommodation for people who want to get away from it all. A separate undercover area provides barbeques BBQs, seating, and bathroom facilities. The mudbrick bunkhouse can sleep up to 10 people. 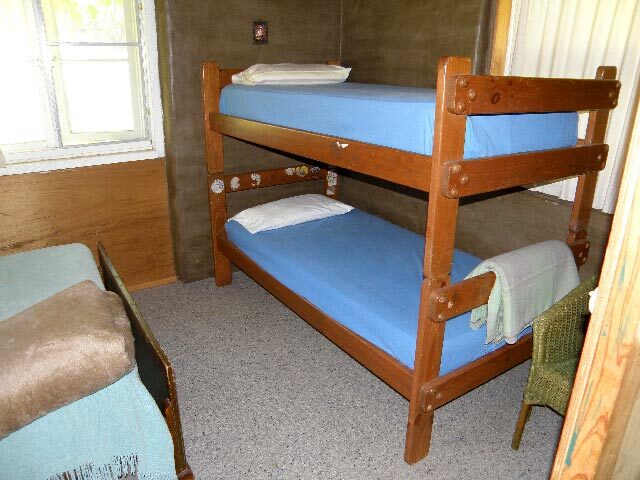 It has 6 single bunks, with a double bed and two bunks in a separate room. 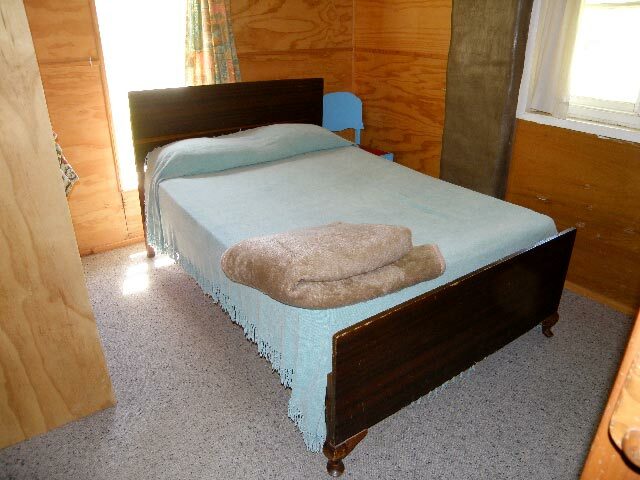 Guests must bring their own bedding and linen for the bunkhouse, as only pillows and mattresses are provided. Gas barbecues are provided in an undercover cooking and eating area which is 50m away from the bunkhouse. Campfire cooking is also available (dependent on weather and fire restrictions). Firewood is provided (an additional cost may apply for large groups). Basic kitchen equipment is available, but guests are advised to bring their own cooking utensils. A wood fuel stove is provided in the bunkhouse for heating and simple cooking. Fresh rain water is used for drinking and washing. There is no fridge or electricity outlets and guests need to bring an Esky. 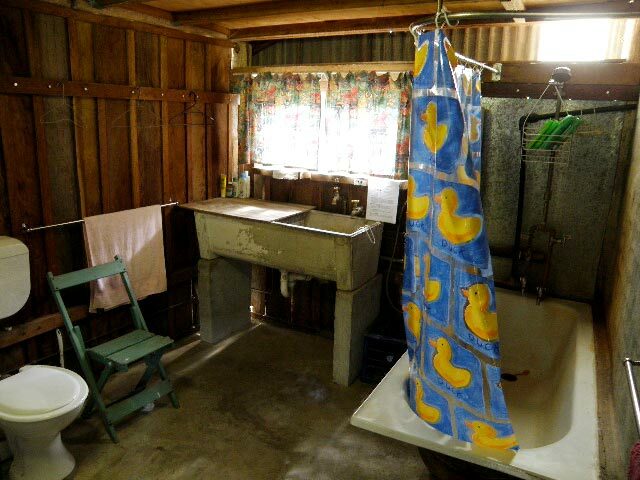 Bathroom - A bathroom with flush toilet, wash basin and instant gas hot shower is adjacent to the cooking area. Lighting and power – The bunkhouse, bathroom and cooking/eating area is lit by power from solar electricity (12 volt supply). There are no power outlets. Parties and functions can be accommodated, and a large marquee (18m x 9m) is available for hire for such occasions. There is plenty of space for games, and easy forest walks on the property can be made from the Bunkhouse. More walks and activities such as bird watching and mountain biking can be done in nearby Mt Royal National Park. There is an organic garden and orchard at the bunkhouse and guests are welcome to sample the produce. Wildlife at Mount Royal Bunkhouse & Camping is protected and no pets, motorbikes or generators are allowed. Callicoma Hill also provides Eco-cabin accommodation nearby. Minimum booking $150* (covers 2 adults for 2 or 3 nights). Additional adults $30 per person per night and children $20 per person per night with max 10 people. 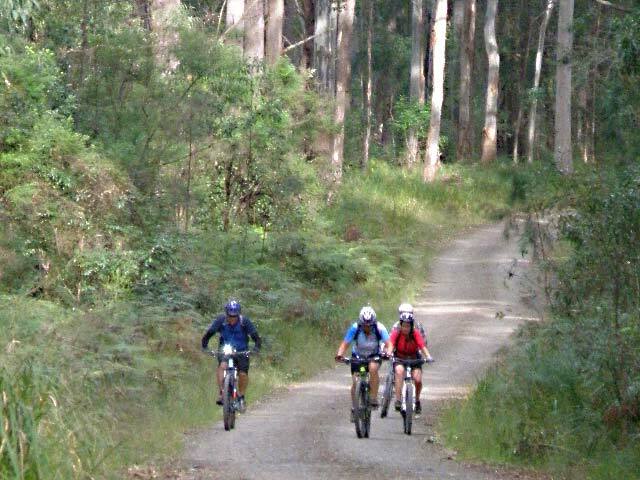 We book only one group at a time for the bunkhouse/camping area and for the eco-cabin. The whole property (bunkhouse, bush camping and eco-cabin) is available for the exclusive use of large groups and functions including weddings and family events. QWhat sorts of groups is the bunkhouse and camping area suitable for? QWhat power and lighting is available? The bunkhouse and covered BBQ area has a small independent solar power system providing lighting only. There are no powered campsites, and no 240V power outlets are available. QWill anyone else be staying? Only one group is booked at a time. This means whether you have 2 or 50 people in your group, the site will be exclusively for your use. For this reason, we have a minimum booking fee. There may be people staying at Callicoma Hill eco-cabin about 800m away through the forest, although many groups book the cabin in conjunction with the bunkhouse and camping. A basic bathroom is provided with a flush toilet and gas hot water for the basin and shower. You need to bring all your own bedding. It is advisable to bring your own cooking implements and food storage containers, torches, and appropriate clothing for all weather conditions. There are no refrigeration facilities so you should plan food accordingly, and bring eskies. QAre there noise or other restrictions? Motor bikes and generators are not allowed, nor is amplified music. However, being in a remote and secluded environment means that no other noise restrictions apply. QCan I bring my caravan? The road to the Bunkhouse & Camping area is unsuitable for caravans and large motor homes. Camper trailers can however be accommodated. QIs there space for games and activities? 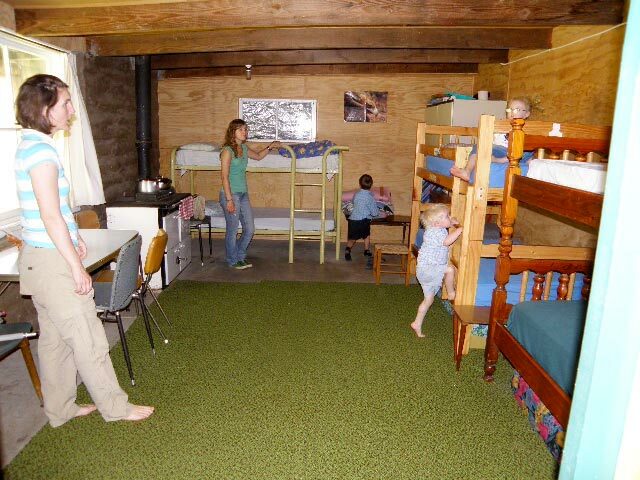 Large grassed areas are available near the bunkhouse for games and outdoor activities.